Here are some of the gorgeous feather apparel that was seen on the runway. This sky blue dress by Fendi is my personal favorite. 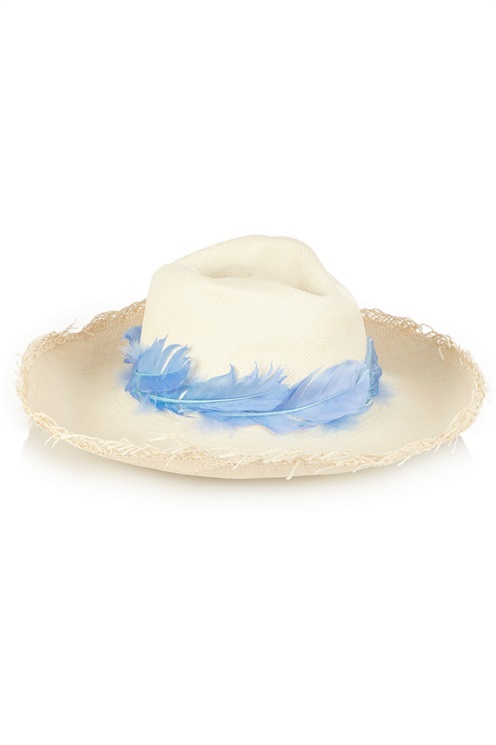 This simple hat with the feather from Sensi Studio, comes to remind us that beauty need not always be complicated. 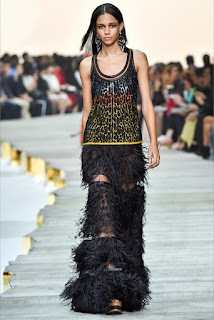 Like much of Roberto Cavalli`s work this out fit is stunning and dark. Black feather top from Balmain. This darling outfit with feather dress by Giamba. Going Technicolor with this outfit with feather plum waistband by DSquared2.